This is a little group of gadgets which I have developed and use a fair amount. 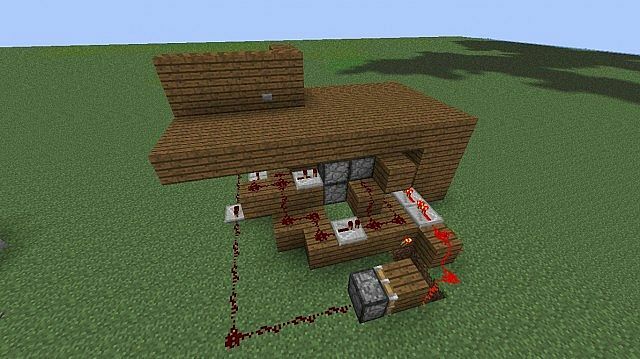 A collapsing floor which leads to your victims death. The smallest 2x2 pressure plate operated door design. 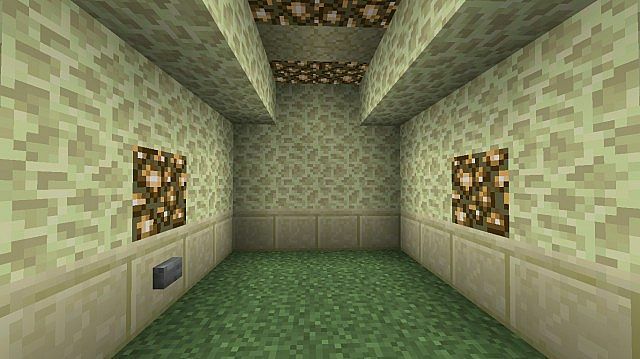 A collapsing floor with stairs coming up from underneath to reveal a secret lower floor. 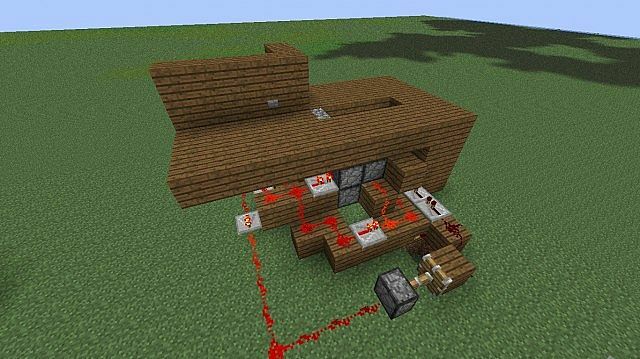 If you would like to see something made, put it in the comments and I will try my best to make it and put it in the next "useful redstone gadgets" upload. If the either of downloads don't work, please comment. TreyDccr noticed a few things that could be changed and improved so, I have done what he moaned was not as good as it could be. supernova your not even super booyah!!!!!!!!!!!!! Then he shouldn't have broken the rules. As much as I would like to accept your offer, I cannot. 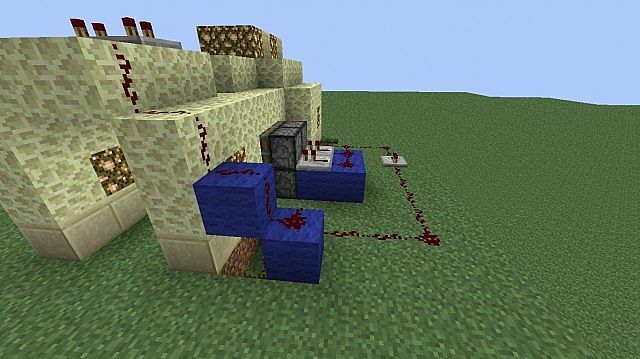 I play on a server called Chunky Craft and one of the rules is anything that was made on the server can only be filmed by our video maker (Riker148). I'm sorry. ...not that great, i could do this with my eyes closed. Thank you for the feedback. 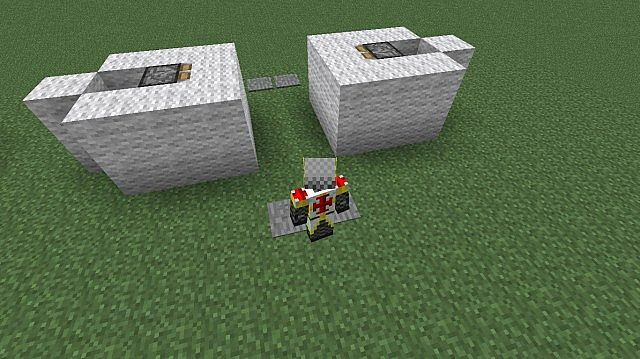 To address your point, I will admit the piston doors that open with the pressure plates are not that hard to make, but they are still very compact and very useful. The other three designs are simple is design, but complex in timing. 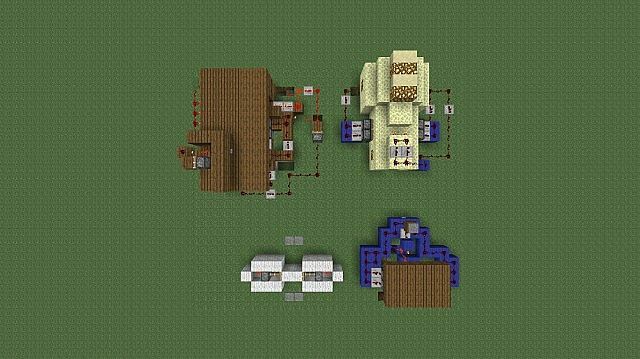 The stairs more than the others are very dependent on the exact timing of repeaters. 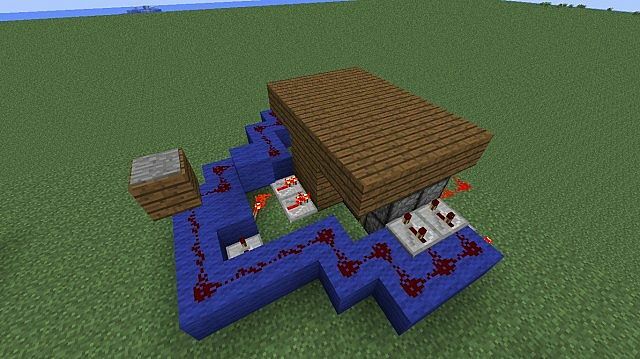 With everything, once you know how to do something, it is easy and whilst I find these small gadget type builds easy, others do not. Your second point about making these with your eyes closed, that is highly unlikely, near impossible. 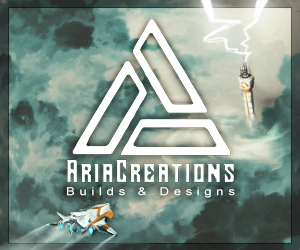 These gadgets are not my most impressive builds nor are they the most complex, I was just trying to help people who are not able to make these gadgets without help. Now please, about five minutes before you made this comment you crawled out from under a rock, would you please go back from whence you came and stop trying to put people down for trying to help others. Please take note, I am not saying this as an attack, I saying it because of the way you worded your comment. 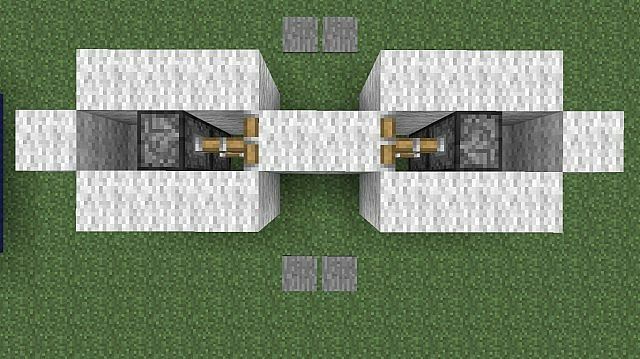 I could make the 2x2 horizontal piston door more compact, I didn't because I wanted to keep it looking simple, anyone can make redstone more compact once they know where it has to go and there is no visible redstone. 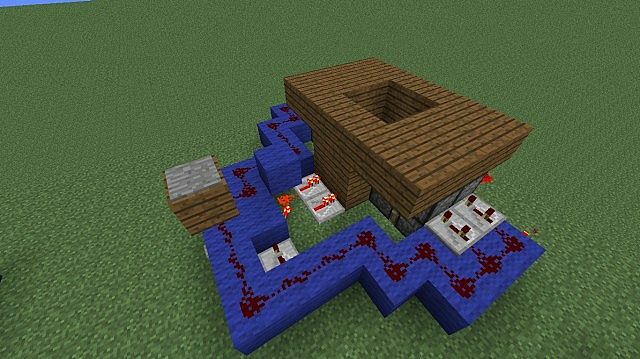 On the 2x2 trap door, there is four pieces of redstone visible and the four pistons, I am sure I could make it invisible, but I really wanted to give a simple guide on how to make things. 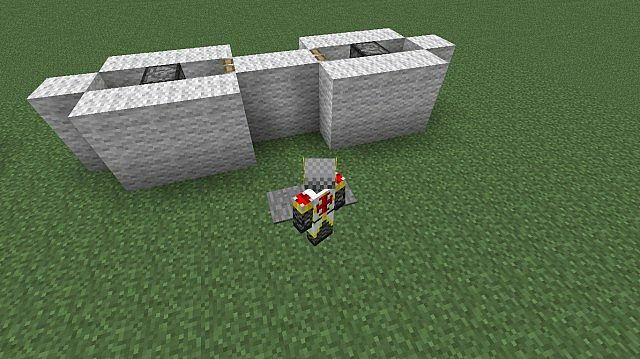 The stairs once again, could be made to be more compact, if you wish I will redo it, as for the speed, for some reason, in single player it did not work properly (I made it on a server) so I had to change it, unfortunately making it slower, I will show you the faster version if you like. As for your recommendation, I did put thought into the gadgets, and for some time wondered if I should upload them or not. I have looked at what you have made and to be honest, they too are quite simplistic and could be made more compact. I think we should. Also I have changed/made better what you pointed out. I am the servers only redstoner, so anything restore on the server was made by me. 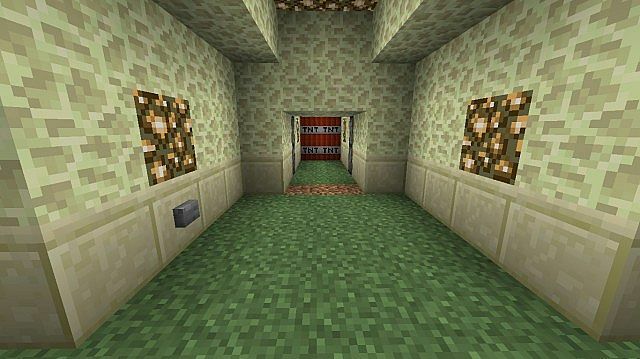 The sever is Chunky Craft, here is the best released map that we have. They will confirm that I did make it. 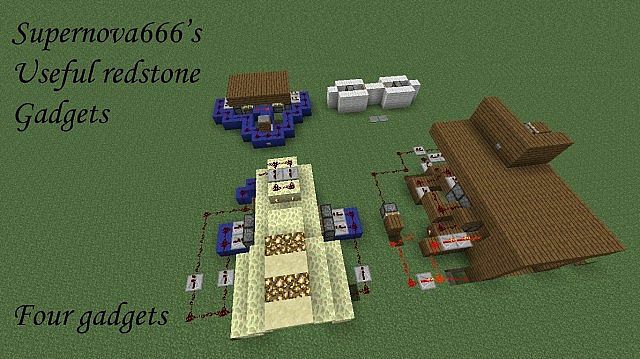 Any redstone on this account was made by me. The TF2 map was the thing I tried to link. The link in the previous comment should work now. If you want, we could have one between ourselves. that sounds cool, what can u build? Check your PM's it will be eaiser to sort it out there than here. I have many random generator designs. Thanks, I will add it to the list for the next gadget uploads. Oh sh*t, disco_ has no chance!! Haha, if only that was the case, but thanks... if that wasn't sarcastic. Sorry, I wasn't sure if you were being sarcastic or not. But thanks? seriously? I can't trust it was sarcasm :P! If it was, he should take a look into all things that is in his stuff :P.
I will start making it now, and thanks. Thanks :) I will do, us there anything you would like me to make?